Now, I don’t like to create alarm, and this post is certainly not intended to do this at all. b) Prevent those accidents with our kids. We all know what kids are like. Take your eyes off them for a minute and they’re up to something they shouldn’t be; usually when everything goes quiet, we all know there are plans afoot. Unfortunately though, not many people know the shocking fact that it is accidents that are the second biggest cause of heartache to families here in the UK when children sadly die as a result of them. If you love your locks poker straight, remember tongs can burn more than just your carpet. Even when they’ve been switched off for 15 minutes, straighteners can be hot enough to give a kid a nasty burn. E-cigarettes are great if you’re a mum trying to give up smoking. But remember that the levels of nicotine inside them is highly toxic to kids – if they swallow just one drop it can be fatal. Don’t get annoyed when your smoke alarm goes off at the slightest whiff of burning toast. It’s good because thick black smoke can spread quickly, killing a child in seconds. These alarms really do save lives. You know those little button batteries you get in watches and other gadgets? They look harmless. But if a child swallows one, the chemicals inside can burn through their throat and lead to internal bleeding. Blind cords have sadly been in the press a lot recently, so there’s no harm in reminding everyone to keep kids’ bedroom furniture away from them. It only takes 20 seconds for a child to die from strangulation if they get caught up in a blind cord. Every day 50 under-fives are rushed to hospital after a fall. If your toddler is exploring, fit stair gates and check they’re secure. Also, use locks or restrictors so your little one can’t open a window too wide. We all know about keeping plastic bags away from kids and babies. But what about nappy sacks? Best keep them stored safely away – and never under the cot mattress. Liquitabs. They’re bright and squeezable, which makes them irresistible to little explorers. But the concentrated liquid inside can be very harmful if swallowed. Again, best keep them well out of reach. Remember ‘Child Resistant’ isn’t ‘Child Proof’. Child resistant lids can slow kids down, but some 3-4 year olds can open them in seconds. A hot drink can still burn a baby or toddler 15 minutes after you’ve made it. So keep your cuppa out of your little person’s reach. 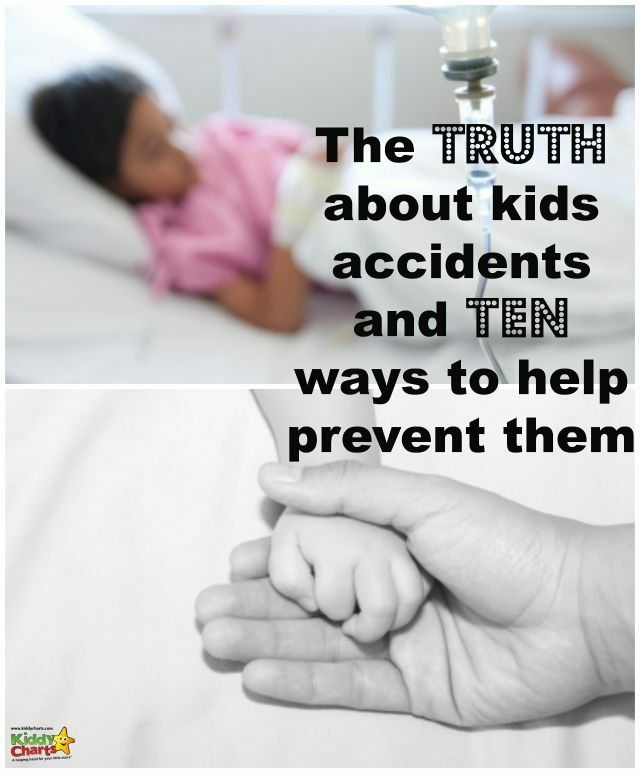 The Child Accident Prevention Trust is a small charity on a big mission to reduce the number of children killed, disabled or injured in preventable accidents. This definitely made me smile, and we hope that it will do you too. There is nothing more important than our kids. I’m a home-dad (working at home, dont say lazy please) and i can say these little deamons are smart to find everyday new ways to hurt themselves. Do not leave your child alone at home or to the care by elder children. The most important point in your post which i like is related to cigarette. We should not smoke in front of our children because the smoke particles get in touch with air and that air is inhaled by our kids also which is harmful for their health. Thanks for this valuable post :) You should share it on social media. nice article. Its great responsibility of parents to teach their childs about how to be careful.